As promised in my afternoon routine post, I have a drink recipe for you! 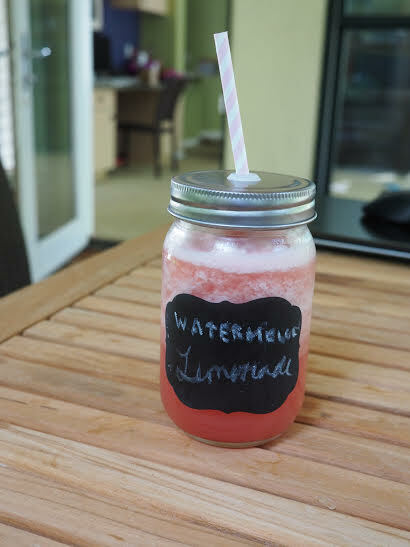 I recently tried out this watermelon lemonade recipe, as I wanted a summer drink to sip on. Watermelon and lemonade are some of my favorite summer things and together, they taste delicious. This is a simple recipe and you can make it super quickly for a delicious drink in a snap. 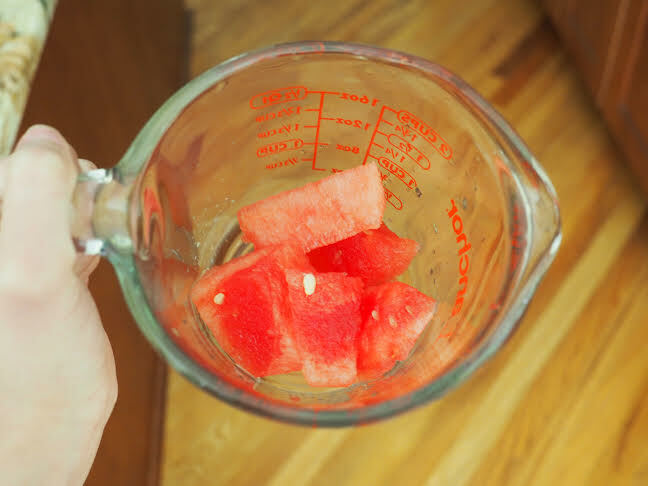 Measure approximately one cup of watermelon, one cup of ice, and one cup of lemonade. You can use your own fresh squeezed lemonade if you want, I imagine that'll taste incredible, but I just used a store bought lemonade. 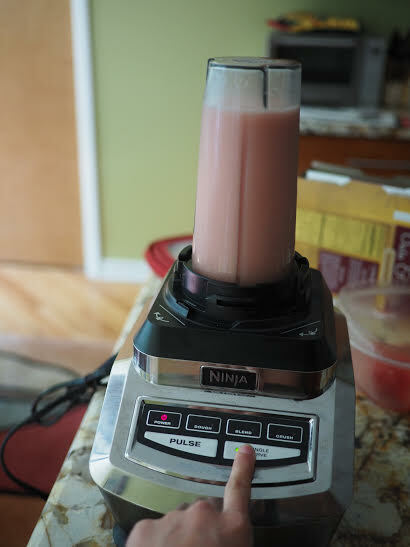 I'm using a single serve blender, so I'm just putting all of my ingredients into my blender and I'm going to crush the ice for a few minutes until it is completely crushed. 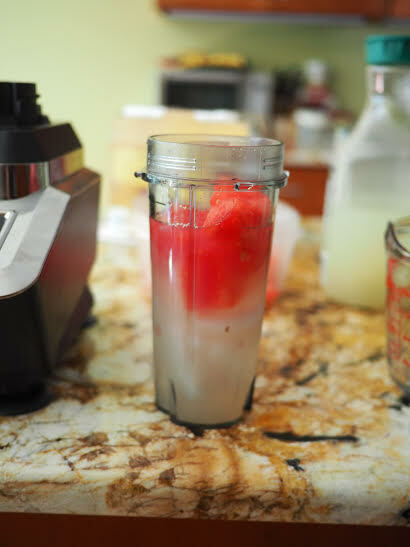 You can usually tell if the ice is crushed if you no longer hear the ice against the sides of the blender. Once it's completely blended, pour the drink into a cup and drink up!